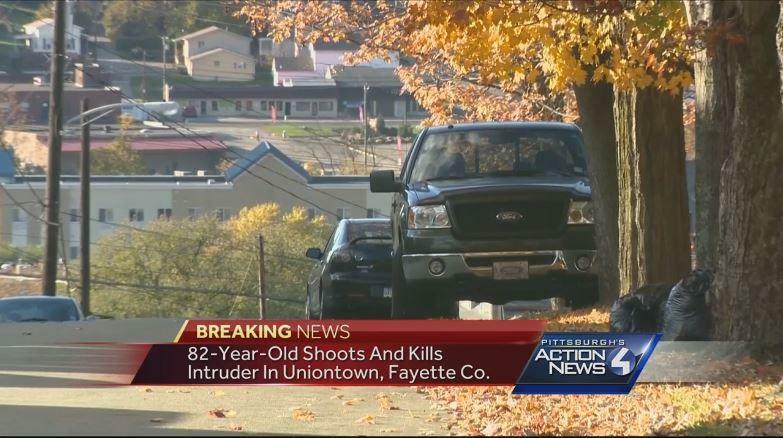 UNIONTOWN, Pa. —An 82-year old man used a gun that’s been on his nightstand for 30 years to shoot a burglar in Uniontown early Friday morning.Uniontown police say the home invasion happened at 1:30 a.m., in the 100 block of Lenox Street. Police will not disclose the name of the homeowner, but they say he was awakened by a burglar and the two engaged in a physical confrontation. That’s when the elderly victim reached for a gun that he’s kept on his nightstand for 30 years. Police say the victim fired it for the first time. The burglar died outside of the house after he was shot. Police identify him as Franklin Schrout, 46, from West Virginia.